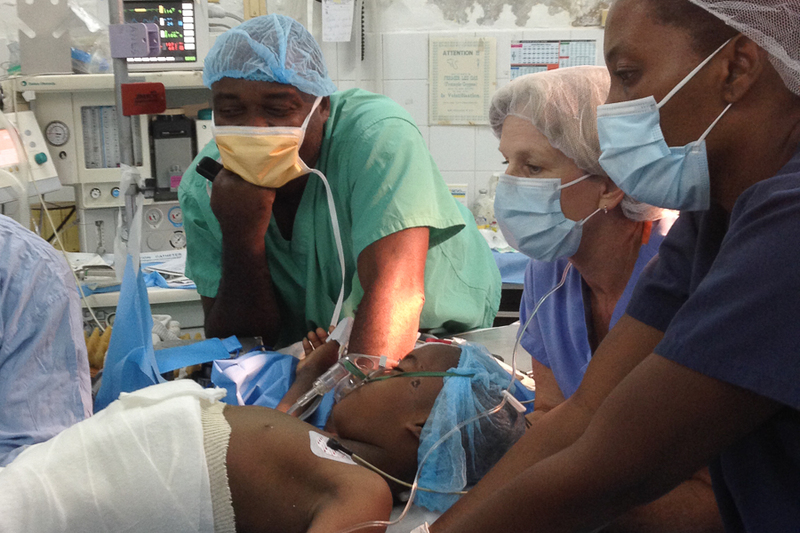 Many of you have undoubtedly noted that haitibones has been revitalized with a new website. There were many factors that went into the decision to switch platforms but hopefully the change will ultimately be positive. The conversion was arduous and time consuming but I wanted to give a shoutout to Lynn Delinger at Pyralis Design for her patience and expertise throughout the process. You are also encouraged to sign up on the site for email updates consisting primarily of News and Trip Reports. 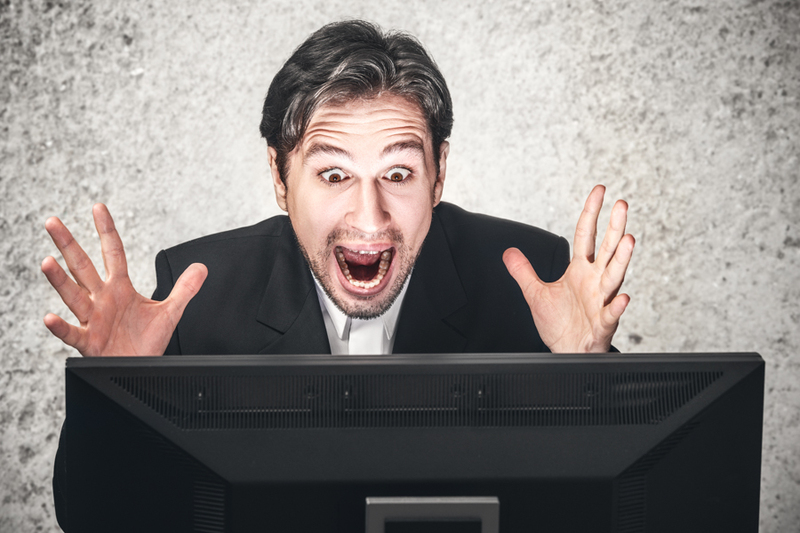 You will NOT be spammed with requests for donations or other forms of junkmail. Stay tuned for more updates regarding some exciting news soon to be announced. Once again, thank-you for your continued support in all phases of the project. 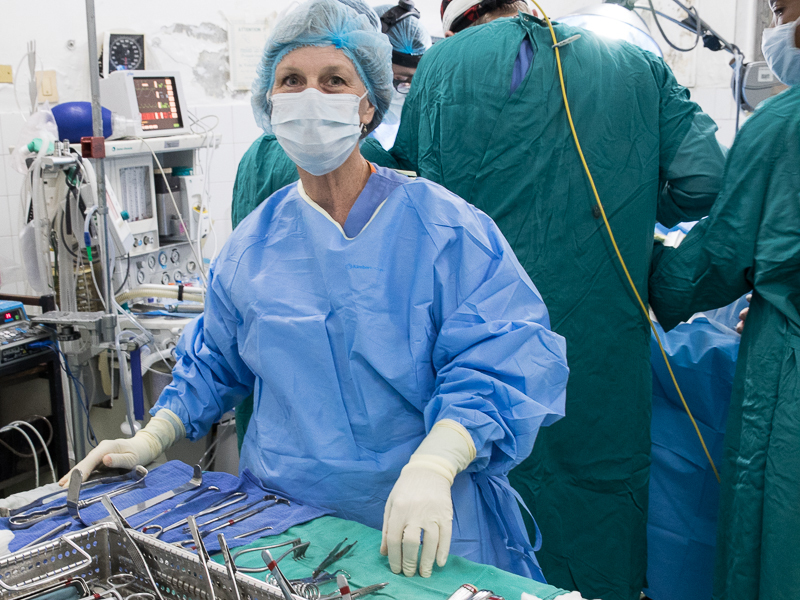 The following post was written by Elaine Lewis, volunteer surgical technician from Southern California. Clubfoot is a congenital condition that severely twists the foot or feet downward and inward, making walking difficult, painful or impossible as a child develops. 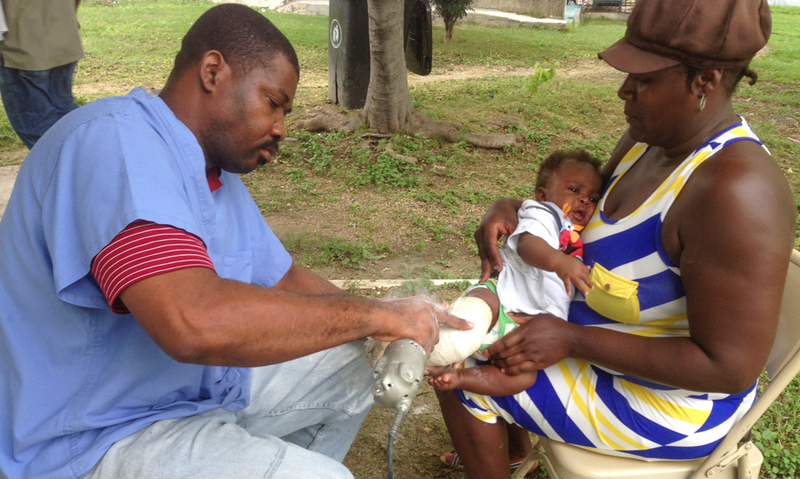 Over 220,000 children, in the developing world are born each year with clubfoot. 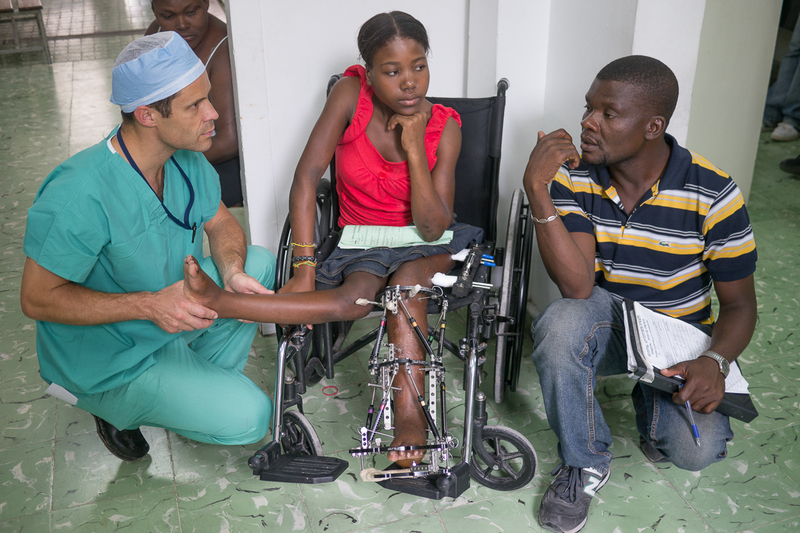 With early detection and fairly simple intervention clubfoot can be completely corrected. 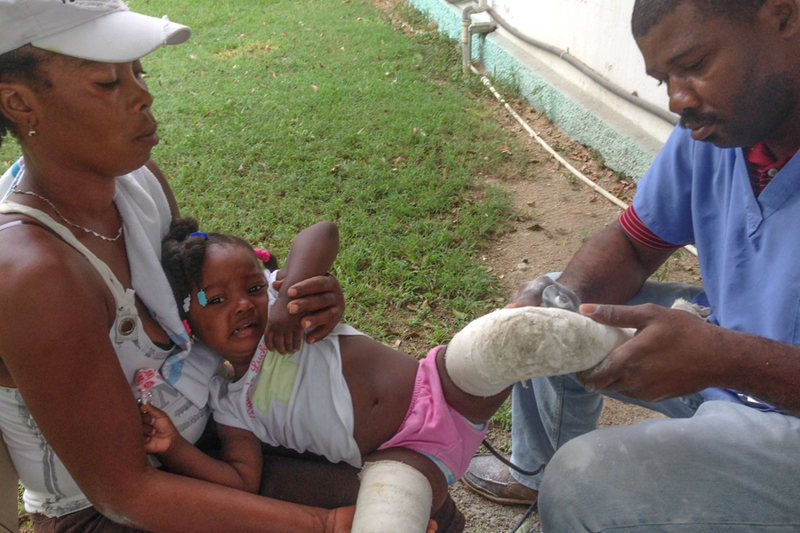 Read more about clubfoot and the Ponseti technique used at Hopital Adventiste d’Haiti here. Many begin their journey long before the sun is up coming by tap tap, bus, or hired driver. Some even come by motorcycle. 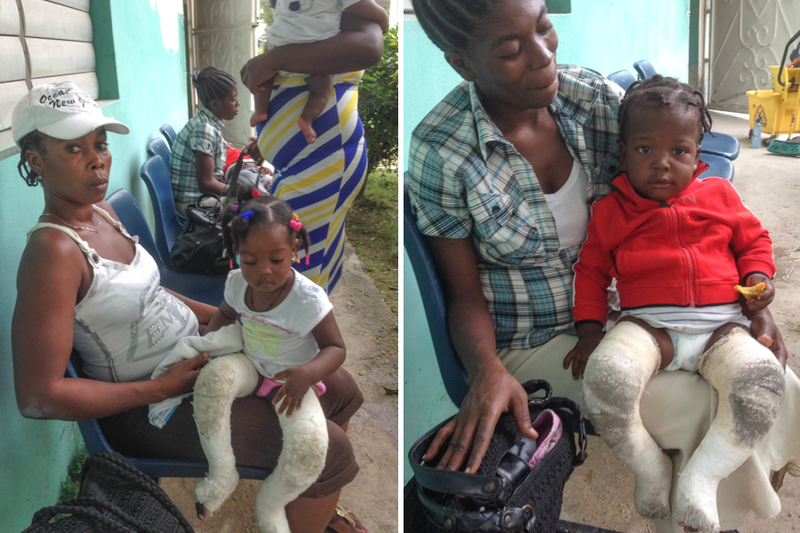 Our clubfoot clinic has become known throughout the country and our own Dr. Alexi’s fame is well-established. Four or five Haitian cast techs crowd into a small room manipulating tiny, tender feet and the cries and screams begin. I am summoned by my tender heart to the children to pass out suckers, comfort or sing to them to distract from the pain or fear they feel as their feet are being forced outward to correct their clubfeet. There isn’t much happiness in our halls on clubfoot day. Mothers and children seldom smile…they know what’s coming, I guess. They must wonder about the future and the difficulties they will continue to face if their child remains lame. Will they have to give care into adulthood? Will this impact them economically if this child can’t work? Will the travel to HAH become too expensive and tiresome that they give up before full correction happens? It is confusing to understand how so many babies and children can continue to show up at our door week after week to be treated by casts, braces and surgery–some as young as 7 days. I’ve asked the question many times, “What is the cause of all this?” Few answers have come from the doctors, however environmental pollutants have been suspected. 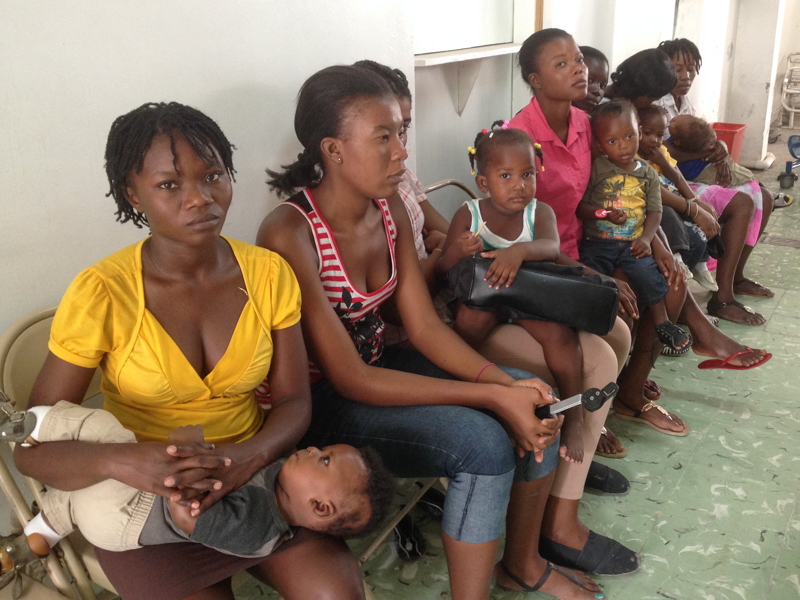 There is no lack of that in Haiti. I look forward to and dread clubfoot clinic every week. I meet some amazing mothers, nannies and orphanage workers who come from France, Canada, Mississippi and Michigan. I also meet mothers who appear to be hanging on by a thread, poor and dirty and who ask me for food. But there’s hope at HAH as we give care to everyone who shows up with or without the means to pay. Remember us. Another update from Elaine. Anyone who has spent time volunteering overseas experiences culture shock in one form or another, sooner rather than later. Elaine is a tough lady, sounds like she is handling it well. It’s dark outside as I stumble out of bed way too soon and slip my scrub bottoms on. I make my way to the “toilette” praying there isn’t a roach the size of Florida to step on. I stick my head under the kitchen faucet to wash my hair in cold water–colder than usual because it rained last night and got an even colder shower down my neck and back. The power was off in the night shutting down the water supply and the pipes are filled with air. What once was funny, the cold splashing shower down the front of my clothes, is no longer funny. It occurred to me this week that culture shock has set in. A once funny common event has now become a serious irritant. Another matter for prayer has presented itself. Not the spiritual darkness gripping Haiti, not the abject poverty or continual birth anomalies presenting at the OR, but splashing, spurting water from air-filled pipes. Is it time to go home? Does it matter that I’m still here? Where do I want to be? Easily I answer, “it’s not time to go home, the job isn’t done.” Haiti still grips my heart and I don’t want to be anywhere else. 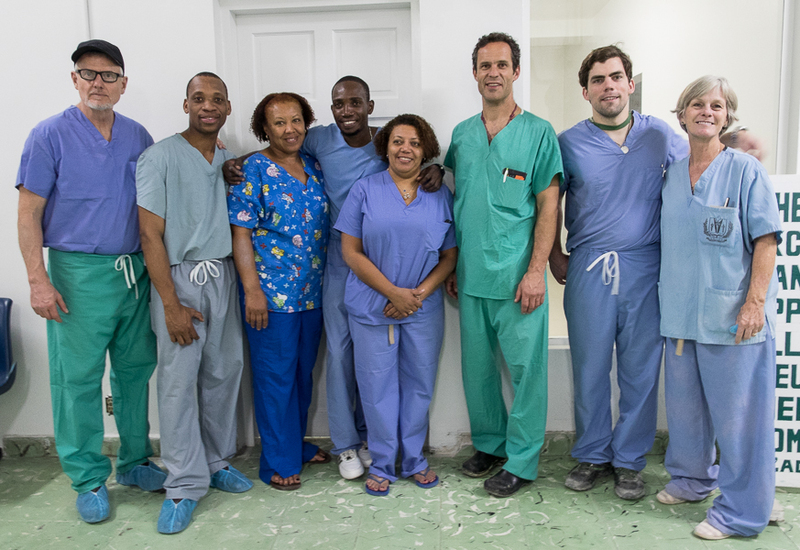 The following post was written by Elaine Lewis, a Surgical Tech from southern California who, along with her husband Jeff, have dedicated 6 months of their lives to Hopital Adventiste d’Haiti. All who have met Elaine have been impressed with her tireless work ethic and relentless enthusiasm in the face of adversity. We are all grateful for her service. Sometimes it takes a long time to realize your dreams. For me, it took 60 years. 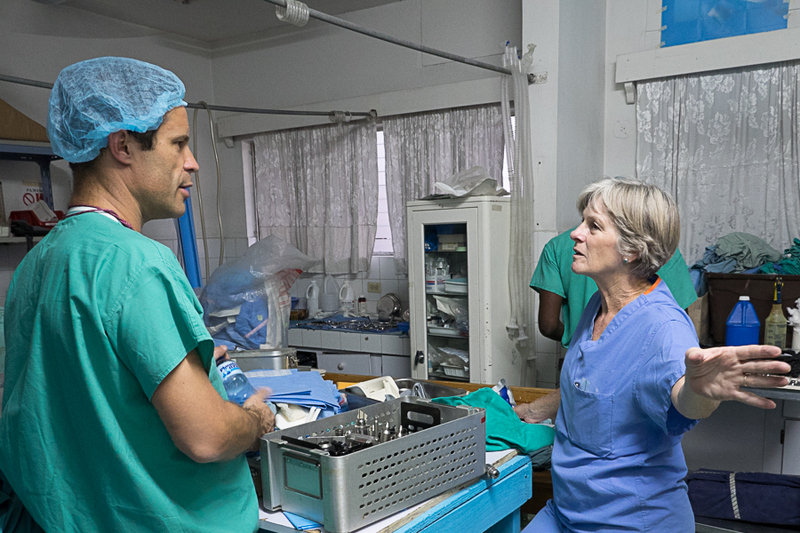 For as long as I can remember, I have wanted to do medical missions. In fact, I remember being a child and having that desire. But, I grew up and forgot about it…sort of. I got a degree in Social Work, married in college and had a family right away. But the dream kept haunting me from time to time, so much so that I made three attempts to go to nursing school. I raised my children, seven of them and continued to think about medicine and missions but the dilemma of no training loomed large as a problem. My husband and I attended a conference in Iowa three years ago where he spoke about making the last years of your life count for God and not retired in the classic sense. 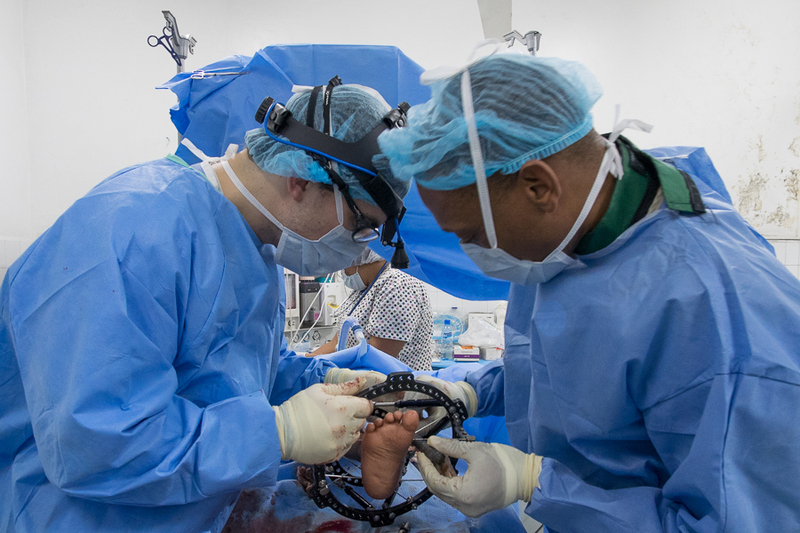 Nine months later, I was enrolled in Surgical Tech school at the encouragement of a retired nurse in her 80’s who was still doing medical mission trips and who said there was a need. At 59, I wasn’t sure I could learn the massive amount of difficult material I would be forced to know in order to pass. For 15 long months I excelled academically and kept up with my twenty year old classmates, graduating Valedictorian with perfect attendance. But, no matter what I did I couldn’t get a job. I began to widen my boundaries, applying outside of California even to Alaska. Finally, I thought of Haiti, having been there after the earthquake just to teach English in an orphanage for a week. 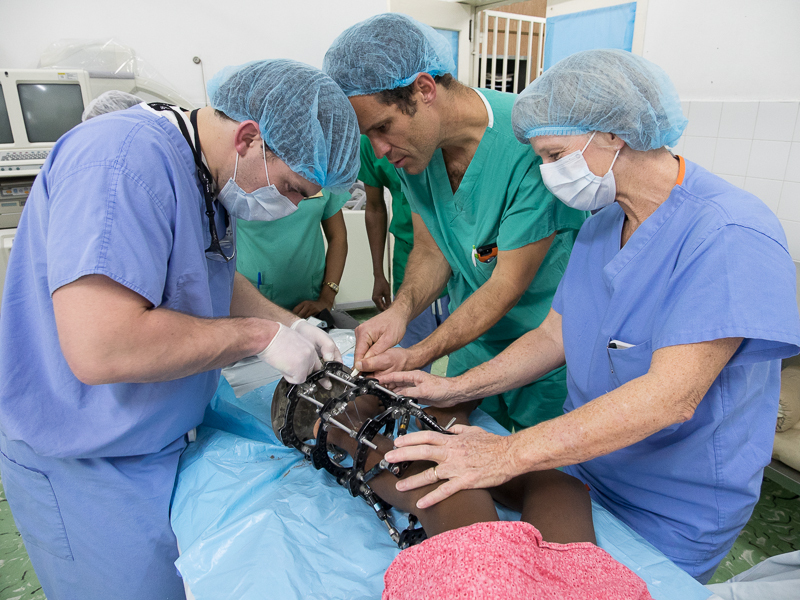 I Googled Surgical Tech in Haiti and haitibones.org came up. I read with interest the entire website and wrote them a letter about who I was and that I was available. Could there be a need? Wondering where this organization was, I thought it could have been in Europe, Canada or somewhere in the U.S. Someone named “rongeur” responded to my letter and referred me to another doctor named Scott Nelson who happened to live in my neighborhood. 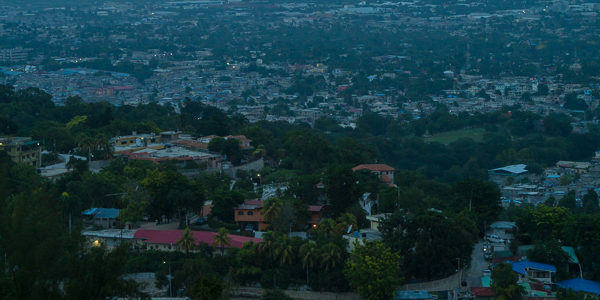 I am still in awe of what happened over the next two months as the door was thrown wide open for me to join the team at Hopital Adventiste d’Haiti in Carrefour Port Au Prince. 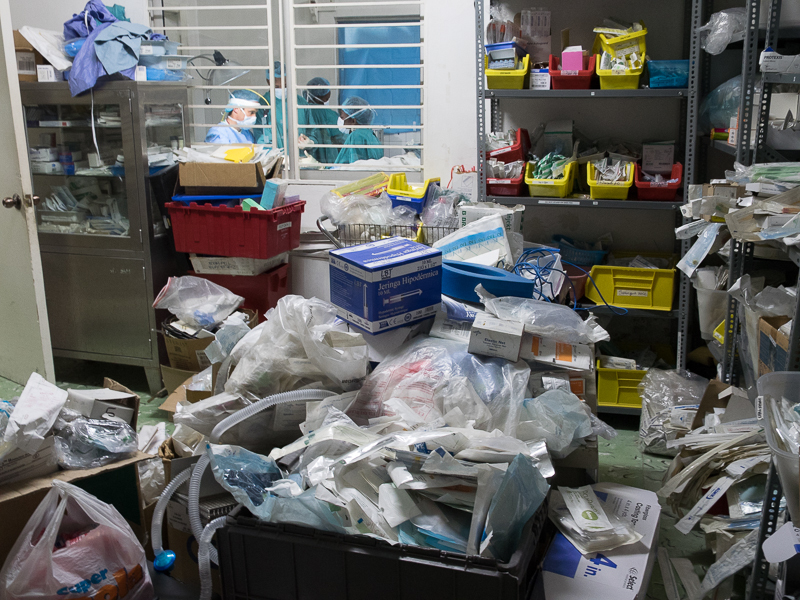 Not once did we hit a snag of any kind toward my getting here to organize and set up three new operating rooms that are presently under construction and due to open within the next three months. Every day brings new challenges and new joys as the Haitian team and I navigate years of neglect in training, organization, and management. My entire life has been the training ground for this endeavor and I’ve never been more ready to make a difference. 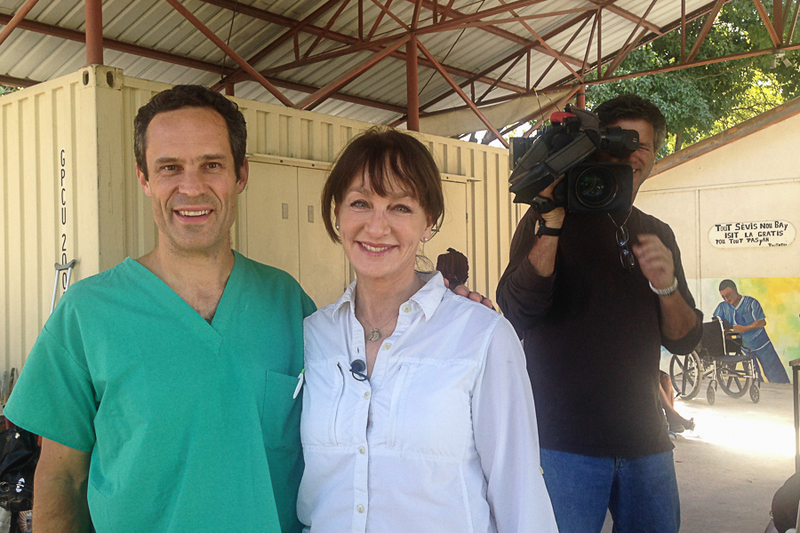 Earlier this month, Dr. Nancy Snyderman, Chief Medical Editor for NBC Nightly News, returned to Port au Prince and visited Hopital Adventiste d’Haiti and interviewed Scott Nelson, MD. The piece aired on Sunday evening, January 11 and can be viewed below or directly on the NBC website. 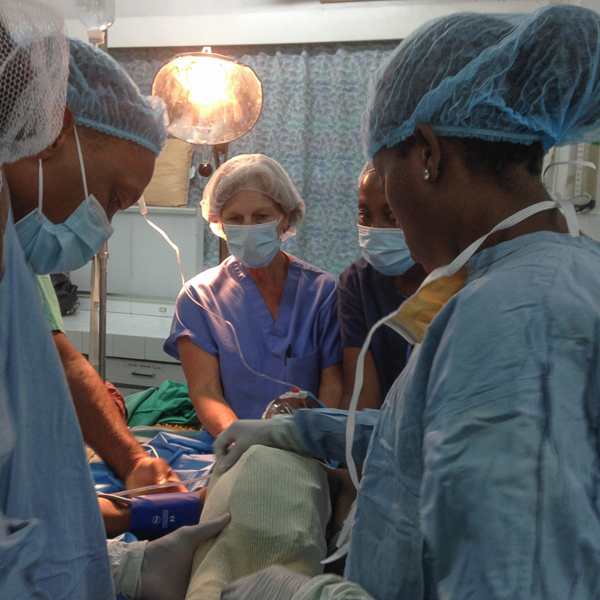 The following post was written by Scott Nelson, MD after returning from a brief visit to Haiti earlier this month. 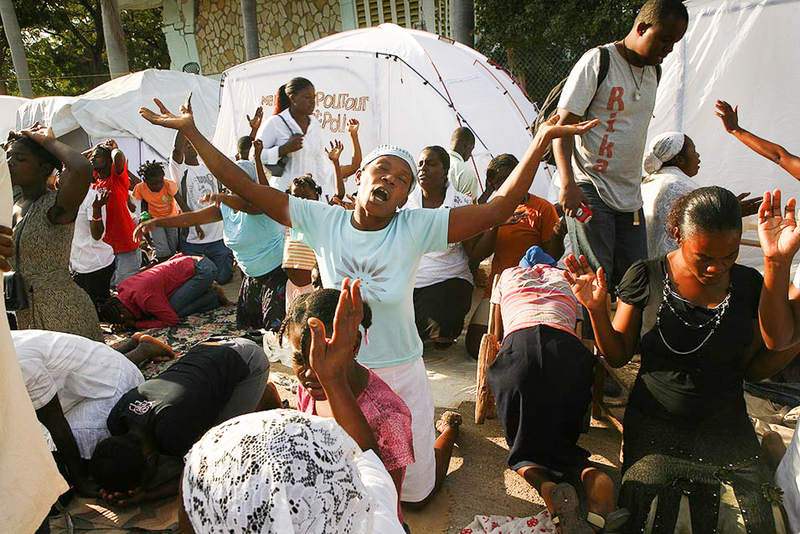 It was a balmy January afternoon 5 years ago (January 12) when the world lost contact with Port-au-Prince. 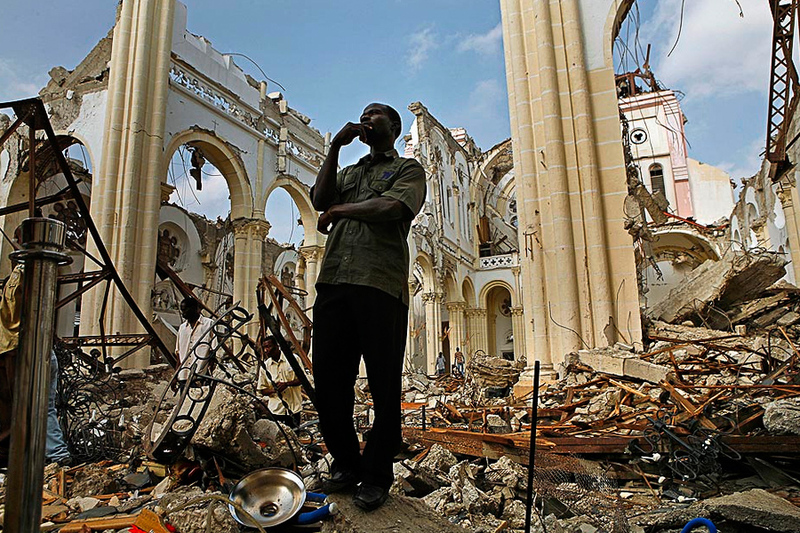 For me it started out as just another day in Santo Domingo with a seemingly unremarkable earthquake on my way home from work. Yesterday in the late afternoon as I looked over the peaceful parking lot in front of Hôpital Adventiste I thought back on the hundreds of injured victims who poured through the front gate of the hospital with life threatening injuries. People were laying everywhere interspersed with a few dead bodies. Some had mattresses pulled off of beds in the hospital but most were just on cardboard or nothing at all. A tent was created out of some tarps in the front yard where wound debridements and amputations were performed while aftershocks continued to shake the building. 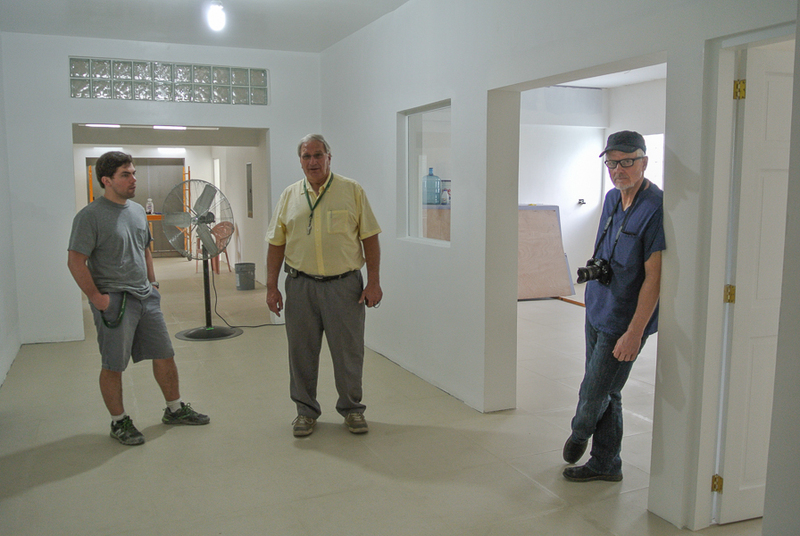 Both local and international volunteers soon began to arrive and do what they could to help. 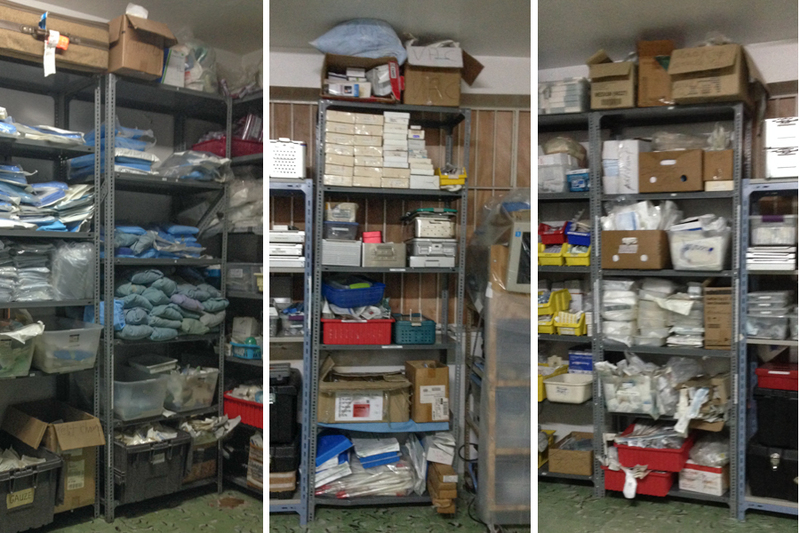 Initially it was difficult to triage, organize and prioritize, but in reality it was not long before this hospital became a veritable beehive of activity and developed a strong national reputation for orthopaedic surgery. An unprecedented amount of donor support brought in the materials and expertise needed to maintain the hospital. Patients were coming from near and far. Many with medical issues long predating the earthquake. Operations were offered for free to all comers. This was the honeymoon of a mission hospital program, the beginning of a long-term relationship. 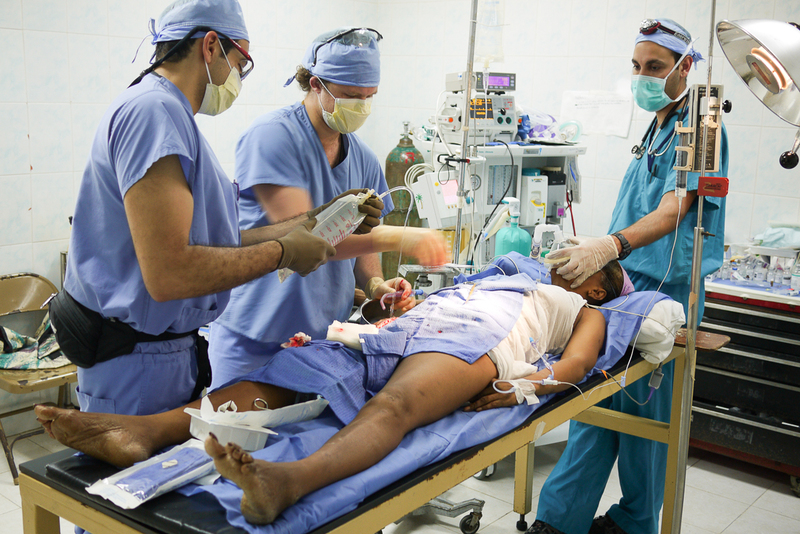 It was not just a one-night stand of volunteer passion that would leave Haiti in a lurch and justify the American dream for those who came to help. As with any relationship it has not always been smooth sailing, but in spite of its struggles the romance continues to motivate us. We are committed for the long-term and great effort is required in order to successfully face the realities of financial viability, communication, and oneness of purpose. Chadme wheelchair bound in 2011 due to severe knock knees from rickets. It can be discouraging to face the literal and figurative piles of stuff and issues around here but it is all worth it when we remember the real reasons we are here. Chadme walking normally in 2015 after bilateral lower extremity surgery.